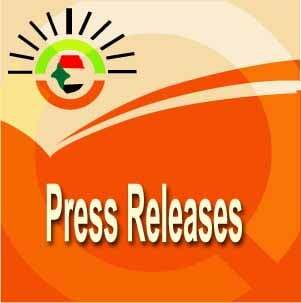 Member organizations of the Confederation of Sudanese Civil Society Organizations (CSCSOs), along with some of their national and international partners will be suspending their work for one day on Wednesday 18th February 2014. This symbolic gesture is meant as an expression of disapproval and protest to the increasing violations that independent Sudanese civil society organizations and their leaders are facing from the Sudanese authorities. The Confederation calls on all its friends both in and outside Sudan to stand in support with it during this difficult time in which the independence and freedom of assembly of Sudanese civil society in the country are under threat like never before. Through this symbolic gesture, the Confederation seeks to draw the attention of the Sudanese public and the entire world, to the increasing harassment and obstruction of civil activity. This, against a backdrop of mounting international and national efforts at finding a comprehensive solution to the crisis in Sudan, and on the eve of national elections that hardly meet the minimum entitlements of ensuring basic freedoms – freedom of expression and freedom of assembly. 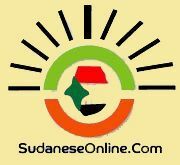 To express our frustration and condemnation of the recent closures of a number of Sudanese civil society organizations, the confiscation of our assets, the suspension of our activities with no justification or due legal process. The continued detainment of the President of our Confederation, the prominent human rights defender Dr. Amin Mekki Medani and a number of other political detainees who have been detained for over 70 days with no regard for legal considerations and in blatant violation of the Constitution and international human rights law. The Confederation further emphasizes that this form of protest will be followed by other forms of objection to the injustices and humiliating actions that are being practiced against our civil society in an orchestrated and systematic way. We further encourage all institutions inside and outside Sudan to employ any form of protest as an expression of support and solidarity to freedom of assembly and association that might best be suited to their circumstances. The Confederation of Sudanese Civil Society Organizations is a coalition of independent civil society organizations working to safeguard its members and strengthen their capacities in realizing a democratic community with good governance in Sudan through innovative approaches to capacity building, advocacy, networking and building knowledge. Sudan’s 2015 elections: an ominous deja vu?